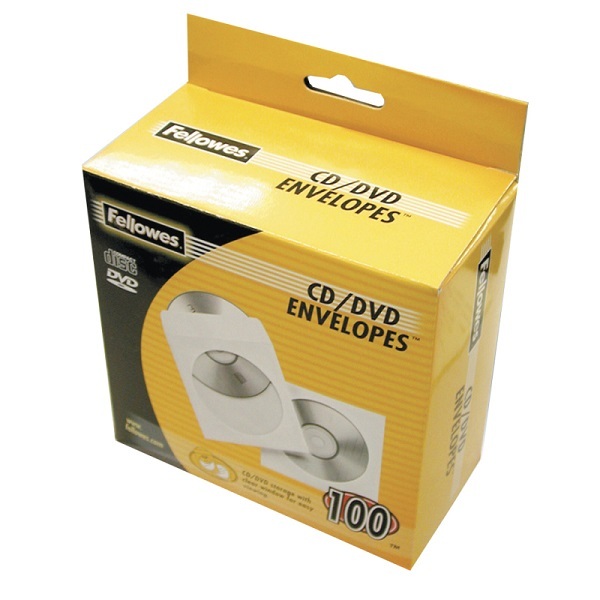 Fellowes premium quality single paper envelope holds CD/DVDs without jewel cases. 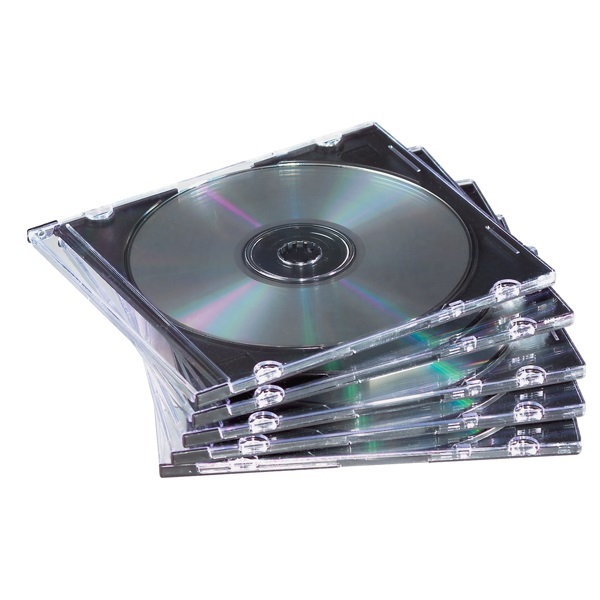 Clear plastic window allows you to view CD/DVD while also protecting your discs. Includes labels to identify and organise your media. 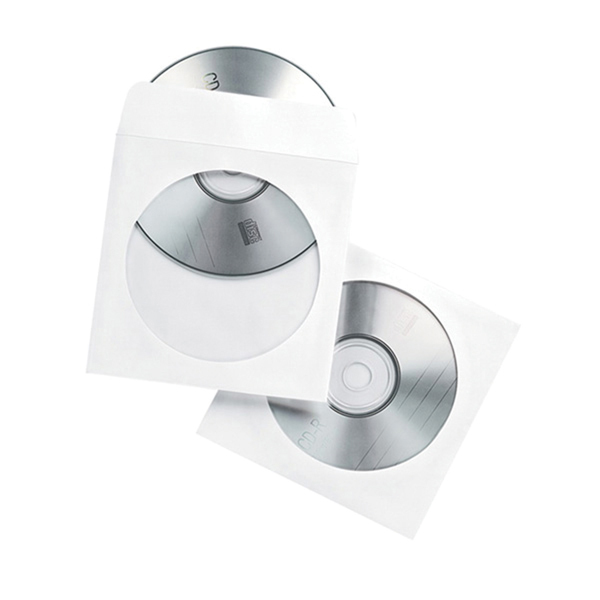 Pack of 100 white CD/DVD window face envelopes. 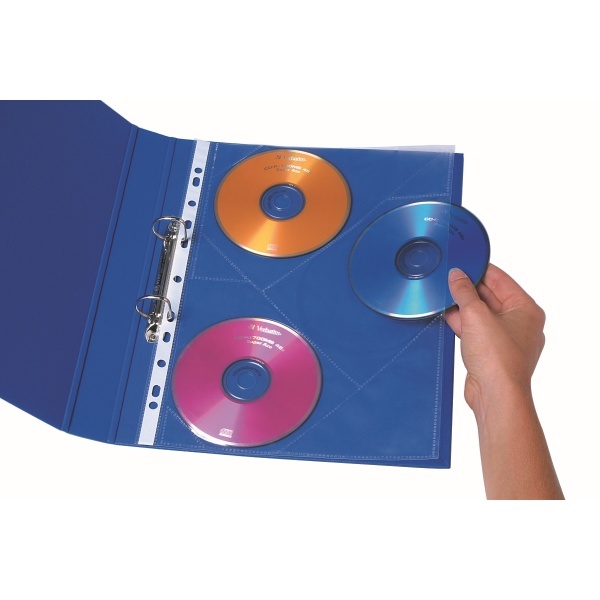 Protects, organises and safely stores your CDs and DVDs in your binder. 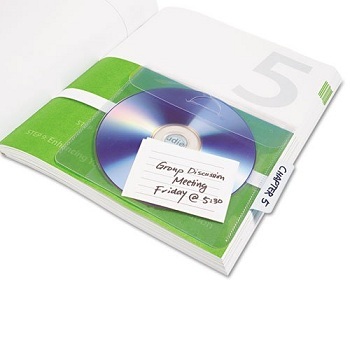 Quality finish, clear and durable A4 PP sheets resist tearing. Multi-punched to fit 2,3 and 4 ring binders - 3 pockets per sheet capacity. Made from archival quality copysafe, acid free and anti-static treated virgin polypropylene. 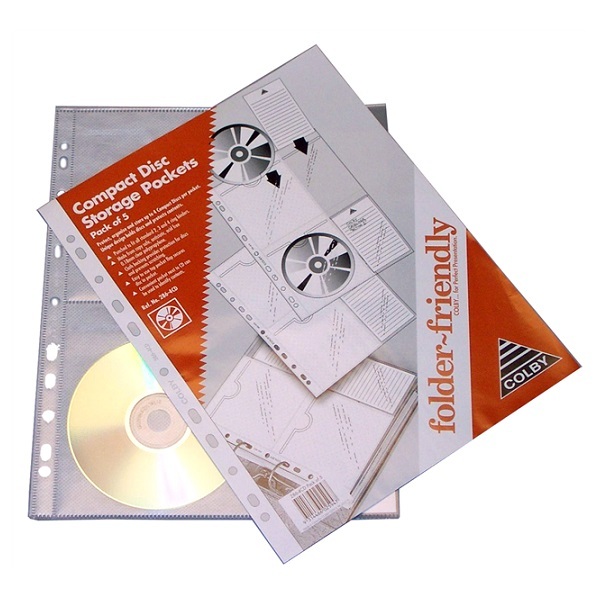 Premium quality 'folder friendly' clear A4 storage pockets for up to 4 CD/DVDs. 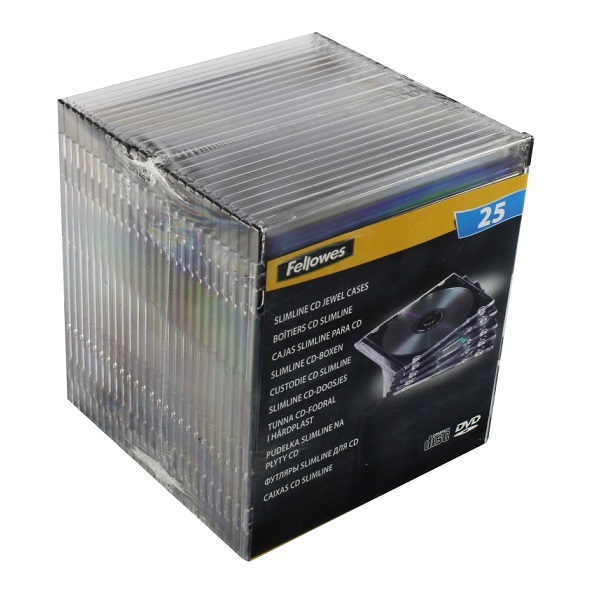 Suitable for storing 4 CD/DVDs, back to back, with protective fabric backing to pockets. Reinforced multi-punched spine to suit all standard 2,3 and 4 ring binders. Made from from archival quality copy safe and acid free polypropylene. 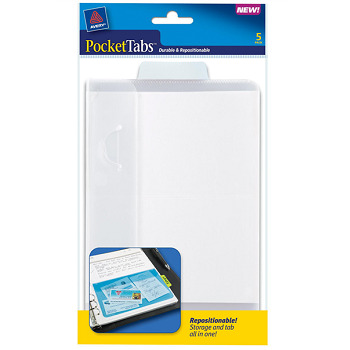 Pack of 5 CD/DVD storage pockets.